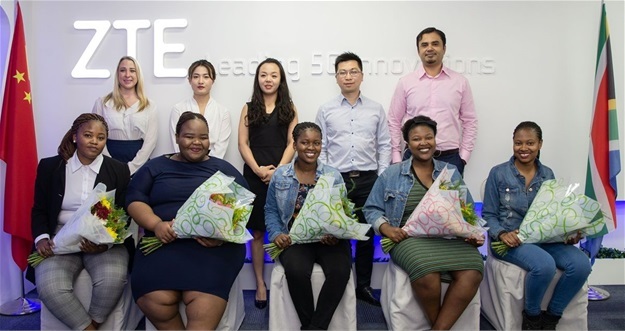 TechInAfrica – ZTE has given a sponsorship to five female South African IT students at Wits University. All of them are at the level of 3 – 4 year degrees. Included in the sponsorship are tuition, prescribed books, stationery, residence accommodation, meals, and laptops. Additionally, ZTE also supports them financially so that they can focus only on their studies. South Africa is one of the African countries with a high unemployment rate. In order to combat unemployment in the nation, ZTE has contributed in youth investments through Socio-Economic Development (SED) program. Through the program, ZTE wants to build a competent workforce, increasing tech skills both locally and globally. It is a ZTE commitment to give assistance in changing lives. Through a partnership with Signa Group, ZTE wants to encourage many individuals, especially youths to make a life-changing contribution to themselves, economy, and society. According to ZTE Operation Director, Nikky Dong Cheng, the role of young females is important especially, in a male-dominated telecommunications industry. Through the sponsorship, ZTE helps to assist the student to obtain new skills and opens opportunities to the students to contribute to the economy of the nation. Moreover, it is also an opportunity for them to contribute to the success of South Africa.